Back from my ice cream sandwich lunch and we’re in the home stretch. This time it’s Dana Todd moderating Katee Crawford (California Chamber of Commerce), Eric Enge (Stone Temple Consulting) and Richard Zwicky (Enquisite). Dana coins a new term called “red hat SEO” which refers to SEO revenge strategies. Heh. Dana, FTW. Up first is Katee Crawford. The California Chamber of Commerce is the largest business advocate influencing government actions affecting California business. They provide affordable and easy-to-use compliance products and services. Products include CA employment and labor law compliance, among others. 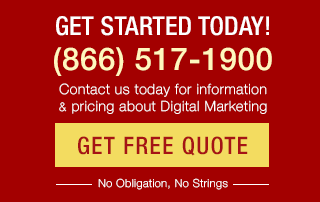 Their current marketing methods: SEO, PPC, Fall and Spring catalog mailings, direct mail and email campaigns. 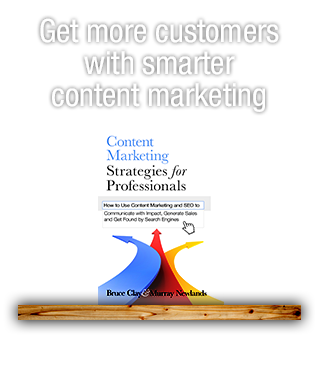 Educate your SEM company on all your marketing materials: The CalChamber provided their SEO company with all their marketing materials, samples of all products, etc. Joint Efforts Produce Better Results: They do all PPC, email and direct mail campaigns at the same time. They’ve seen a 36 percent decrease in cost per order. Use similar artwork for branding. House email campaign increased their revenue by over 10 percent. Rethink the Norm: Integrated marketing with promotional products moves products. PPC and email campaigns for RNK increased revenue by about 5 percent over direct mail. The conversion rate increased by 3 percent. The “I Deserve It” Tactic Works: An A/B split test was performed through an email and PPC campaign. Two offers were given – get a 10 dollar Starbucks card or 15 percent off. The customers will not always prefer the highest cost savings in a promotion. Everyone picked Starbucks even though it was the lesser value. Good way to save your company money. Track Often and Evaluation Often: Audit your online marketing revenue to test validity. PPC Insider Tips: Don’t change your bid more than once ever couple of days. Test special characters in your ad creative. Exact match all combinations of exact matched terms. Test no spaces between words in a multiple word phrase. Test placing phone number in ad. Test adding “.com” to the end of some of your keywords. Operation Camouflage: If you can identify your top competitors and their location, set up dummy campaigns so they don’t see your winning ads and you can hide from your competition. In 2009 they plan to bid more aggressively on lead generator keywords and on keywords associated with the products feature in campaigns. They’ll also focus more on what works and do less experimenting. They’ll make every dollar count, printing more catalogs. Optimize ecommerce site for hard hitting sales. Leverage PR campaigns with integrated marketing efforst. And look more into social media. The good – it’s a great way to get links, lots of Web sites are starved for content, you get to present yourself as an expert and many times you can even specify the anchor text. 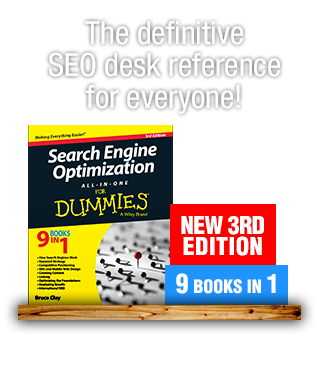 The bad – The search engines see duplicate content and they only want one copy. The ugly – The usually show up as the original author. The solution – Pay a different writer to cover the same topic. Guide them with key points to include. You will get a very different result. It may cost you 40 or 50 bucks but it buys you “safe syndication”. Search Engine Challenge: The search engines have a big problem obtaining accurate data. They use many sources like yellow page sites, syndicators such as LocalEze, local review sites and information you provide them correctly. The data provided is often inaccurate or out of date. Give Them Data Correctly: All three major engines provide you a way to give them authenticated data directly. Give them accurate data because these sources carry the most weight. The Google Local Business Center lets you submit by location. Feed is useful for large numbers of location. Keyhole Markup Language: Language for geographic annotation. Search engines find the location of your KML file using your sitemaps file. The means it is authenticated. Last notes on Local: You want to be listed in many places. Increase data accuracy problem. Invest the time and effort to get this data right. Services like LocalEze helps with this but cost money. If you don’t have a GWT account, get one. Looking at the Not Found Report in the Web Crawl Errors section, hunt for malformed URLs, an instance where someone has linked to you using the incorrect URL. Then, add to your .htaccess file a 301 redirect from the incorrect o the right one. Find “lost links”. Instances where the media wrote out your links instead of really linking to you. Contact these people and ask them to make it a eral link. Let Yahoo tell you who they are. Benefit for his site: 2,042 potential links from people who have already endorsed him but just didn’t link right. Tells you the terms your visitors search on after they searched for you. Get some good insight. You can also go the other way and see what they searched for before your keyword. How to use search funnels: use to determine search intent and to isolate problems on your Web site. Page 1 v. 2 and What to Do: A really easy way to improve meaningful traffic – use conversion data to get the full benefit. Over 90 percent of search referral traffic comes from page 1. Identity which Web pages are driving Page 2 traffic. If 95 percent of referral track comes from page one and 2.2 comes from page two, if you can move a page to Page 1, you can increase traffic considerably. Conversions v. Actions: Do you know the difference? Are you tracking them? intext: Find people who talk about you but don’t link. Regional links: figure out where your links come from and where you have opportunities for growth. The “trick”: learn, learn and learn more. There is no magic. Your competitors are probably lazier than you are. When to consider going black. Richard says he doesn’t do any black hat but he has found that anyone who is really good at search engine optimization knows inside out what black hat is. They know how to do it, and how they should implement it if they did going into it. Someone is going out and slandering you. They do so anonymously so you don’t know who to go after. What do you do? Use at your own risk. If you do any of this wrong, it will come back to hurt you. Buy a domain: Don’t do anything to your own Web site. Don’t use your own name. Get a UPS mailbox near your opponent. Go buy another domain: Again, don’t use your own name. Put their address on your site. Go to UPS and get a change of address to make your address theirs. Go buy yet another domain: Use their mail info as yours but with a different name. Go to the post off and pay for a mail redirect to your UPS mailbox. Do it Again: Try being more sneaky. Host the sites all over the place. Try hosting some where your opponent does. Build Some Good Links : Get some good link going to these sites. Point some random links out to authority sites in your opponents neighborhood. Be nice, don’t point to anyone you like. Don’t link any of your sites together. Link to your opponent: Ask them for a link, after you link to them. Do not under any circumstance link to your site Get indexed. Start showing up for terms relevant to your site and optimize for your opponents site. Add More Content: Reprint PR from within the industry. Get cheap content. Sitemap: Have a bunch of orphaned pages in your sitemap. Try out every black hat trick you can find. It’s okay. It won’t hurt you real site, unless you get caught. Copy your opponent’s content and build a bot that constantly indexes their site looking for new content. Sitemap: After a while, copy your opponents sitemap into your own ones. Append it to your own. Remember you “look” like them, according to your registration info on one site, address on another. Hmmm, who owns this site? Try Hard to Get Your Site Banned: It’s okay. It won’t hurt you. Just Before You’re Banned: Redirect the URL to your opponent. The bad juice with flow to them. Result: They’ll Get Their Site Reviewed to see if they did anything bad. What did they get caught for? Something you did or something they did? And if they mess up in the future, the threshold for how far they’re allowed to go before they banned is really low. It forces them to clean up their action. And now you’re playing on a level playing field. I has no comment on the tactics revealed above. Very interesting stuff, Lisa. Good recap. Thanks for the effort.